Two of my criterions for contributing time, talent and treasure, both personally and professionally, to a nonprofit and a mission is will the effort give voice and can the contribution move the needle? GiveCamp is one such effort that does just that. In a web and data centric world websites and online presence can indeed provide a voice and allow the mission to drive its message to those who need it most. Many of my favorite non profits have been served by GiveCamp including Edwins Leadership & Restaurant Institute (@EdwinsCLE), Engage! Cleveland (@EngageCleveland), Lake Erie Ink: a writing space for youth (@LakeErieInk), last year and years past groups such as Malachi House, Reaching Heights (@ReachingHtsOH), The Arc of Greater Cleveland among others. A few of my dear friends such as Susie Sharp and Stuart Smith band together each year and give it their all for this camp. Local Technology leaders like Jon Stahl of LeanDog (@LeanDog) and BlueBridge Networks (@BlueBridgeLLC) customers like Onbase by Hyland (@OnBase) and Rosetta bring the time, talent (human resources such as developers designers, databases experts and project managers) and treasure . This corporate social responsibility example is what pulled us in. 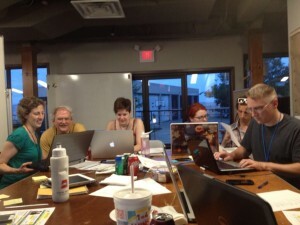 we are currently a Silver Sponsor http://clevelandgivecamp.org/sponsors/ to this worthy cause. GiveCamp is a weekend-long event where software developers, designers, database administrators, project managers and creative professionals donate their time to create software and web-based applications for non-profit organizations. The event takes place at the LeanDog Boat (former Hornblowers) and Burke Lakefront Airport on the shores of Lake Erie. The Call for Non-Profits is still open until June 3, 2016! Do you have a tech project that you think we might be able to help tackle over a short period of time? Our volunteers get together from Friday evening until early Sunday afternoon, developing a technical solution to help you out. Whether it’s a mobile app or a desktop app or a web application, we can help you out with your needs. We select 15-20 non-profits who will benefit from our help. To learn more about Cleveland GiveCamp and apply, check out the Cleveland GiveCamp Nonprofits section. The Call for [email protected] is opening today on Friday, June 3rd, 2016! We are looking for volunteers of all walks of life and various expertises. Bring out your developers, designers, project managers, copywriters, and all others involved in making a project happen! If you aren’t sure if your skills can be used, reach out to us on Twitter at @CleGiveCamp and we’ll let you know how we can put you to work! 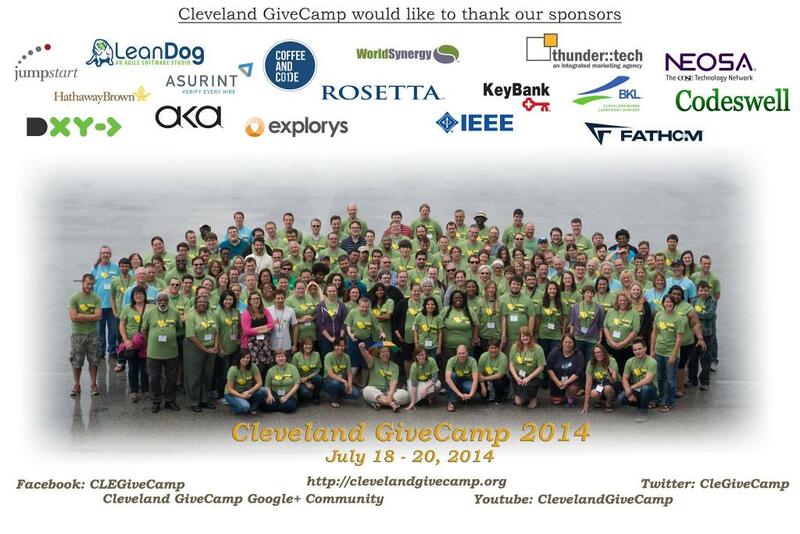 To learn more about Cleveland GiveCamp and volunteer, check out the Cleveland GiveCamp Volunteers section. GiveCamp is the largest tech volunteer deign event in the nation of its kind – once again demonstrating Cleveland’s long held philosophy of Community philanthropy and standing in Corporate Social Responsibility leadership. One volunteer is a friend of mine and many in the Tech Community, Stuart Smith. 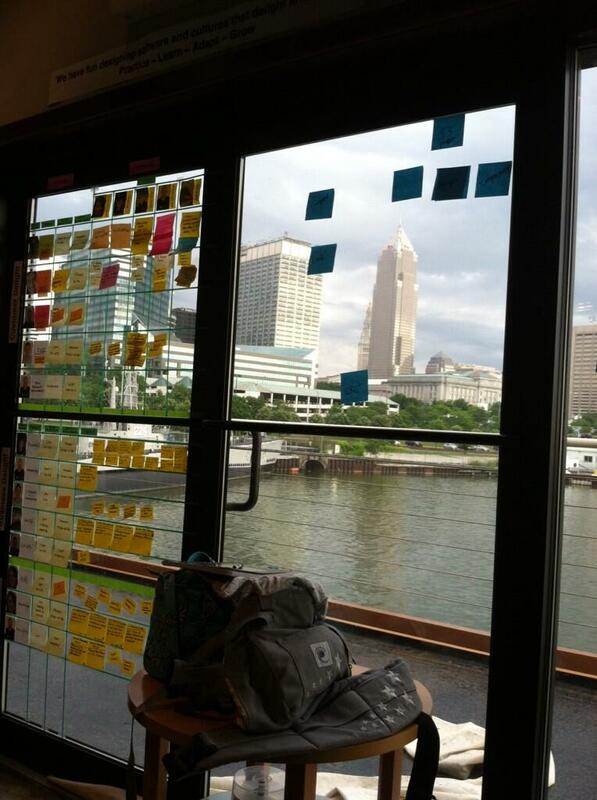 His tweeter site is a go to spot to learn about the local tech scene and many other topics in the #CLE. He works for Notre Dame College as website director and serves on the steering committee of GiveCamp. He spoke with me with enthusiasm about a project the team worked on for Malachi House. He noted that the time spent at the Camp allows him to work in a group and team as most of his work day to day is solo. He commented that as in most giving efforts when one gives they receive, in his case the joy of working with a team and serving and empowering others in a very particular way gives his personal and professional life deeper meaning. This entry was posted in Building Community, Philanthropy, Uncategorized, Visionaries and tagged corporate giving, partnership, technology, volunteering. Bookmark the permalink.